The officers were able to free the fox cubs and reunite them with their mother. BUFFALO, N.Y. — A litter of cubs and their mother were rescued Tuesday night on the Buffalo State College campus. 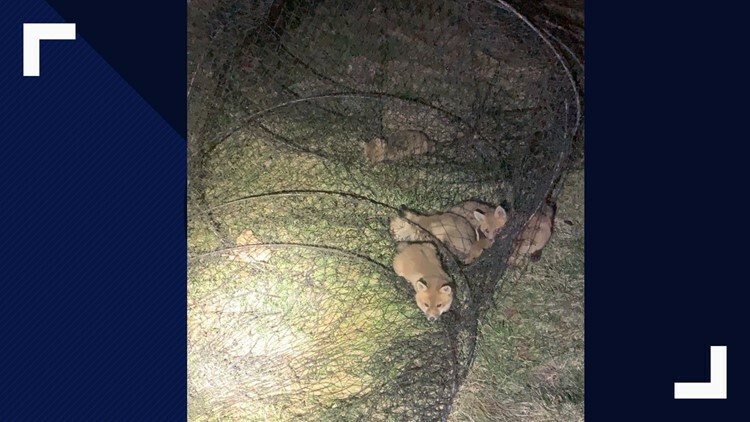 University Police posted on their Twitter account that during a premise-check of the Buffalo State's Great Lakes Center, campus police found a female fox and a litter of cubs who were, "trapped in some netting," according to the post. The officers were able to free the fox cubs and reunite them with their mother. They also secured the netting to prevent any more issues in the future.